A cryptocurrency is valuable only when it is actually there. You probably wouldn’t really care all that much about the price fluctuations of Bitcoin or Ethereum if you didn’t hold any yourself – sure, it’s still interesting, but not nearly to the extent of when you actually possess some. However, there are people out there that may try to rob you of your cryptocurrencies – whether it be with a keylogger, a virus, a security breach or in any other way. That’s why people need a safe cryptocurrency wallet – and that’s exactly what we’ll be talking about in this CoolWallet S vs Ledger Nano S vs Trezor crypto wallet comparison. We’ll start off by laying down the evaluation criteria. After that, we’ll move on and talk about the actual wallets, their pros and cons, etc. At the very end, I’ll give you a short recap and let you decided on which wallet would be best to use. It would be tough to start talking about and comparing cryptocurrency wallets without establishing the grounds on which we could actually compare them. There are a lot of different aspects and features that a cryptocurrency should possess for it to be attractive and usable, but since we are mostly looking to compare the three crypto wallets and find their strengths and weaknesses, we’ll stick to the main stuff. Security. Hands down, security is the most important aspect when it comes to choosing a cryptocurrency wallet. Even though CoolWallet, Ledger and Trezor, by default, more or less have this covered (all of them being hardware crypto wallets), we’re still going to take a somewhat in-depth look into each one and try to distinguish both the strengths and the shortcomings of this aspect. Accessibility. If you purchase a cryptocurrency wallet, you’d probably want it to be accessible and easy to use. There are a lot of clunky and outdated crypto wallets in the market – even though they might be on the cheaper side of the price tag, they are absolutely horrendous to use. In this CoolWallet S vs Ledger Nano S vs Trezor crypto wallet comparison, we’ll take a look at each of the three hardware wallets and see if we can reach a clear consensus on just how user-friendly they actually are. Cryptocurrency support. New cryptocurrencies enter the market almost every single day. Most people now hold not one, but two or three (or five or ten) different cryptocurrencies, whether it be for different transactions of other reasons. Because of this, it’s important that a good hardware cryptocurrency wallet would not only have great cryptocurrency storing conditions, but would also allow multiple currency storage. We’ll see if we can find a clear winner in this CoolWallet S vs Ledger Nano S vs Trezor comparison. Visual side. Even though this is probably one of the least important aspects when it comes to a good crypto storing wallet, it’s always nicer to carry around a slick, aesthetically-pleasing device rather than a clunky and hideous one. Price tag. Finally, we’re going to talk about the price tags of these three wallets. The price of a hardware cryptocurrency wallet is most commonly the determining factor behind the decision of buying or skipping the device. You should keep in mind that we are going to talk about three of the most advanced crypto wallets in the game – their prices are most probably going to reflect this fact. 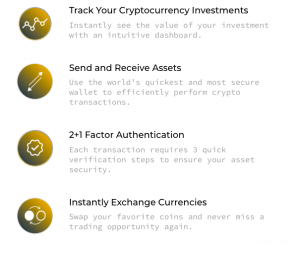 These are going to be the main evaluation criteria that we’ll use to analyze and compare all three of the wallets. Before we begin, however, let’s have a brief overview of each of the wallets, just so that we could know what we’re dealing with. Just so that we could both be on the same page, let’s briefly cover the three wallets in question. 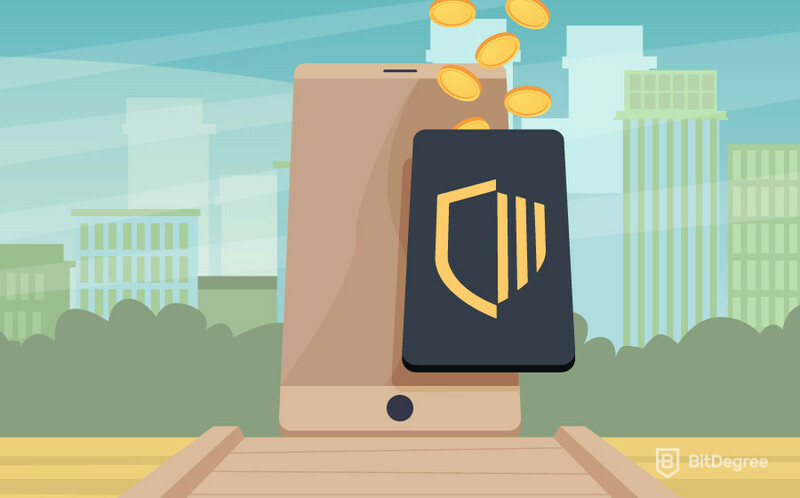 The CoolWallet S cryptowallet is the world’s first mobile cryptocurrency wallet. The company CoolBitX (and the product behind it) isn’t as well-known as it’s other contenders on this list, but the wallet is slowly, but surely making its way into the mainstream. 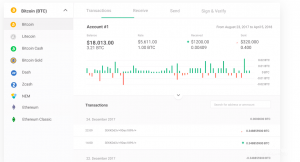 Although the company itself launched only back in 2014, more and more people that spend their time in cryptocurrency communities worldwide are starting to hear about just how great this new player in the cryptocurrency wallet market is. 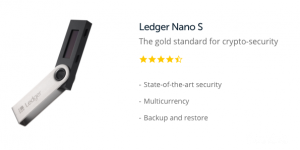 The Ledger Nano S is one of the most talked-about hardware cryptocurrency wallets in the market. It has built a solid reputation over the years of being on the top when it comes to reliability, security and overall performance. With more than 1 million product sales worldwide, the Ledger is still one of the leading cryptocurrency wallets in the market. 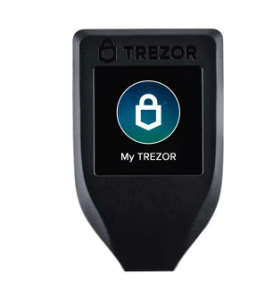 Trezor is the first hardware cryptocurrency wallet ever created. To this day, it is seen as the main competitor for Ledger Nano S – both of these hardware wallets currently dominate the market. With Trezor being in the business for so long and competing for the top tier rank of best crypto wallets out there, this serves as great proof of just how reliable and time-tested this hardware wallet truly is. Now that you have an idea of what we’re dealing with, we can finally move on to the actual CoolWallet S vs Ledger Nano S vs Trezor product comparison. The criteria by which we’ll compare the wallets aren’t listed in any particular order, unless stated otherwise. When it comes to security, the CoolWallet S cryptowallet currently has no shortcomings. It offers a few different elements of security, namely the Secure Element, encrypted Bluetooth, 2+1 factor authentication, and a couple of others. As of yet, the general public opinion about CooWallet S security is overwhelmingly positive – there are no notable security breaches that would have compromised the user’s crypto coins or exposed some sort of a huge flaw in the system. Same as CoolWallet, Ledger is also on the top when it comes to security. 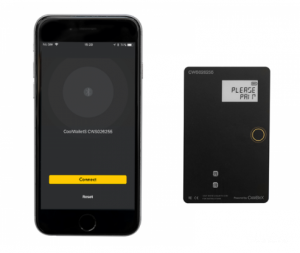 The device offers offline storage, an option to backup and restore your crypto coins if you do lose the wallet or if it gets stolen (you’d require a recovery sheet), PIN-secured locks, etc. The Ledger Nano S offers top-notch security, which is exactly what you should be looking for in a cryptocurrency wallet. Same as its two contenders, the Trezor model T has got you covered in the security department. The wallet also offers PIN code-based security, with lockouts, backups and multiple confirmations enabled. There was some controversy concerning both Ledger’s and Trezor’s security as of late, but it was proven to not be that big of a deal. Well, at least on the Ledger’s part – Trezor got a bigger blow. Even then, though, a hacker would have to be in a close proximity to your device and know all sorts of identifying data. So, it is probably safe to say that, when it comes to the security aspect of the CoolWallet S vs Ledger Nano S vs Trezor comparison, all three of the wallets are top-tier contenders. 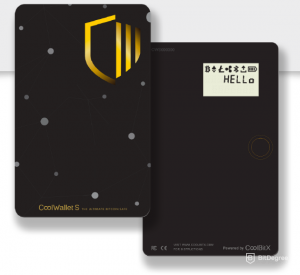 Since one of the main goals of CoolBitX was to create a device that would be easily accessible and fun to use, the CoolWallet S cryptowallet offers no problems and raises no complaints when it comes to that aspect. It offers a one-button-push type of an easy connection to the app, works without a hitch and doesn’t make you feel like you’d want to change anything to “make things easier”. The fact that the CoolWallet S is mobile-friendly says a lot about just how accessible it is! Overall, a great performance on this part! Just as the CoolWallet, Ledger also doesn’t raise any issues in the accessibility department. It’s super easy to use, doesn’t overwhelm the user with a wide variety of useless functions and is pretty straightforward overall. Ledger has two buttons (which is one more than CoolWallet S) and all of the operations can be performed and viewed directly on its screen. Trezor is super-easy to use – same as with the Ledger, you can view your operations on the screen. The main interface, however, is located on a specific, designated website. Even though the general usage of the wallet is quite simplistic, Trezor does offer users an ability to view some of the more complex information and features, if they so choose to. Seeing as this is a very important aspect to any hardware cryptocurrency wallet out there, it is surely one of the main factors of analysis in this CoolWallet S vs Ledger Nano S vs Trezor crypto wallet comparison, too. CoolWallet S allows users to store six main cryptocurrencies – Bitcoin, Bitcoin Cash, Ethereum, ERC 20 tokens (ones that are based on the Ethereum network – BitDegree BDG tokens are also supported on the wallet! ), Litecoin and Ripple. Even though it’s a relatively small number of currencies, the wallet does cover the main cryptos of the market. In addition to the main crypto coins, the Ledger Nano S supports multiple different cryptocurrencies, as well. If you’re looking to store a crypto that isn’t all that well-known or mainstream, the Ledger might be just the tool for you. Same as Ledger, Trezor supports a wide variety of altcoins, including the main ones mentioned before. 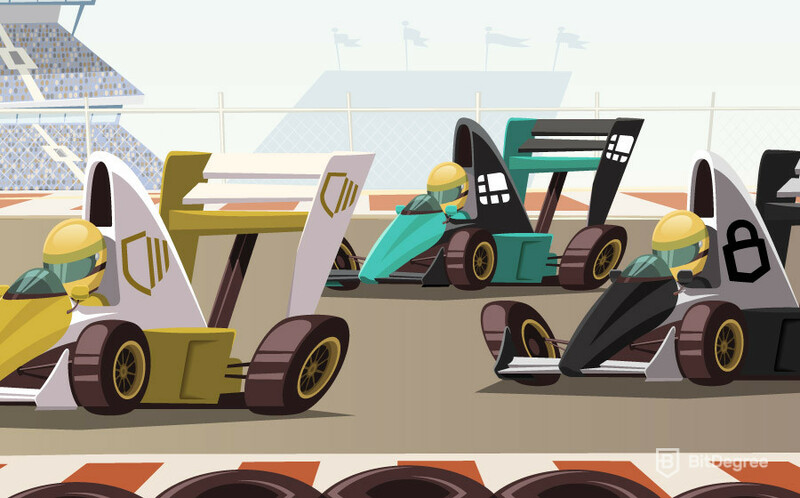 The fact that Trezor allows users to store such coins as Dash, NEM, ETH Classic and Dogecoin makes it a very attractive device for altcoin enthusiasts. What would a CoolWallet S vs Ledger Nano S vs Trezor comparison be without talking about the aesthetics of the wallets, right? The CoolWallet S cryptowallet stands out of its contenders by being super-slim and flat. It’s an aesthetically pleasing wallet that attracts the eye and just looks classy. Another great thing about the wallet’s design is that it’s really easy to fit anywhere and carry around – the size and form of the device allow you to place it almost anywhere, without it taking up much space at all. Ledger is comparable to a standard USB device – both in size and in shape of the hardware wallet. Its metallic design makes it out to be quite inconspicuous, which is always great when talking about crypto-storing wallets in general. Out of the three, Trezor looks the most unique – and the clunkiest. Its size and form are far from being tough to handle or hide when needed, yet it still falls short in the aesthetic department, at least when compared to its other contenders on this list. Finally, we’ve reached the price tag. Let’s take a look at the dfferences in price that these wallets offer. The CoolWallet S allows you to choose from two options – the main wallet, or the duo version. 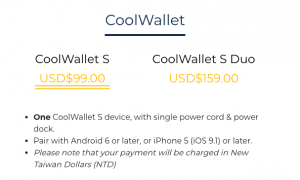 The CoolWallet S itself costs $99 USD, while the duo option comes out to be $159 USD. The Duo version allows you to purchase 2 CoolWallet S devices instead of 1. Doing so you save around $20 USD per wallet. The Ledger Nano S stands at a price tag of €59 EUR, or almost $68 USD. 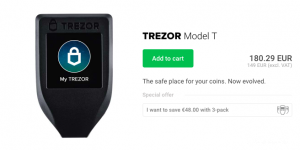 Trezor model T turns out to be €180,29 EUR, or $206,85 USD. So… What do these prices tell us? It is clear that Ledger is the cheapest of the lot, with Trezor being the insanely expensive option to store your cryptocurrencies. The CoolWallet S turns out to be the sweet spot, being perfectly affordable and offering an all-around great performance for its price. Finally, let’s have a quick recap of this CoolWallet S vs Ledger Nano S vs Trezor crypto wallet comparison highlighting the pros and cons of each of the wallets. So, we have reached the end of our CoolWallet S vs Ledger Nano S vs Trezor hardware wallet review. As you can probably see and tell for yourself, each of the wallets that we’ve covered in this tutorial have different pros and cons. Depending on people’s wants and needs when it comes to crypto storage, everyone might find different wallets suiting them best. This CoolWallet S vs Ledger Nano S vs Trezor tutorial wasn’t meant to sway you into purchasing one product over another. Rather, I aimed to highlight some of the most prominent features and shortcomings of each of the wallets, and allow you to make up your own mind on what you think the best hardware wallet to use is. I hope that this “CoolWallet S vs Ledger Nano S vs Trezor” comparison article was useful to you. Good luck in all of your cryptocurrency ventures!